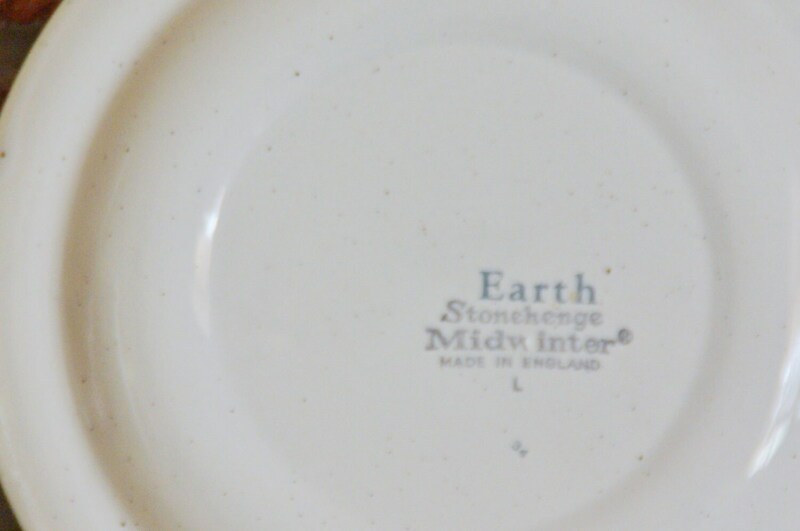 3 mixed items from the iconic Midwinter Stonehenge Earth range, dating from the early 1970s and all in perfect undamaged condition. 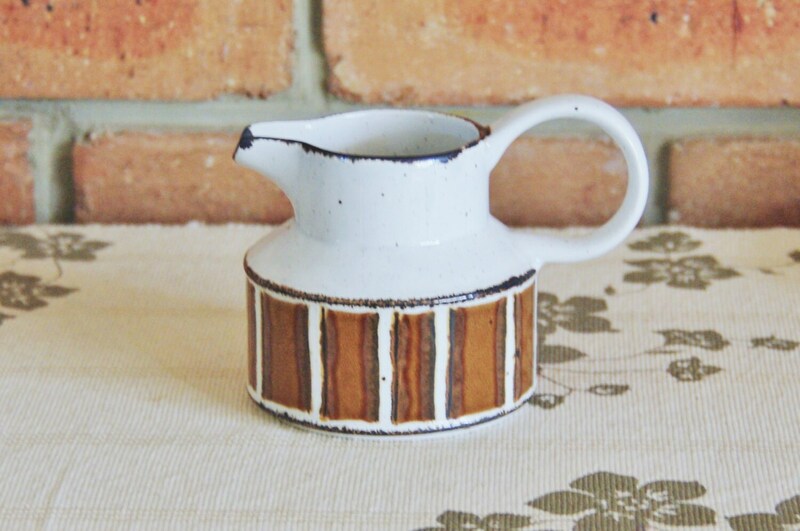 The items include a creamer that stands at just over 9cm tall, a side plate measuring just on 18cm across and a standard sized cup. 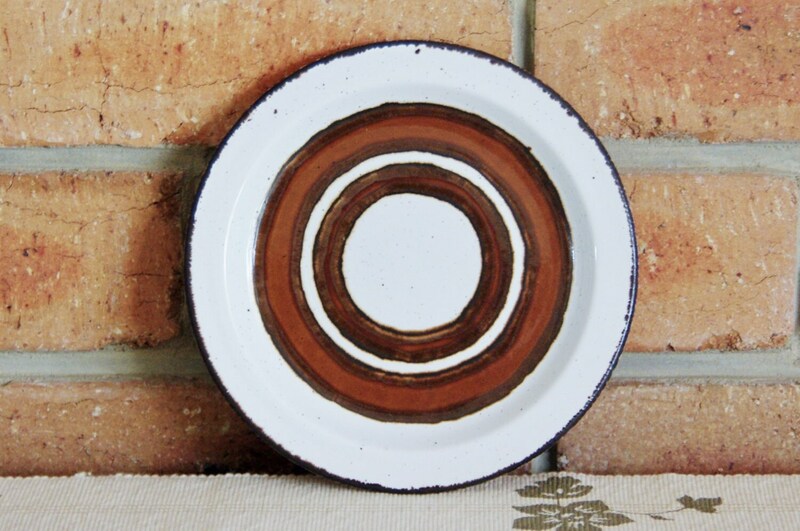 While the items are not directly related it is easy to see from the photo that they blend perfectly together! 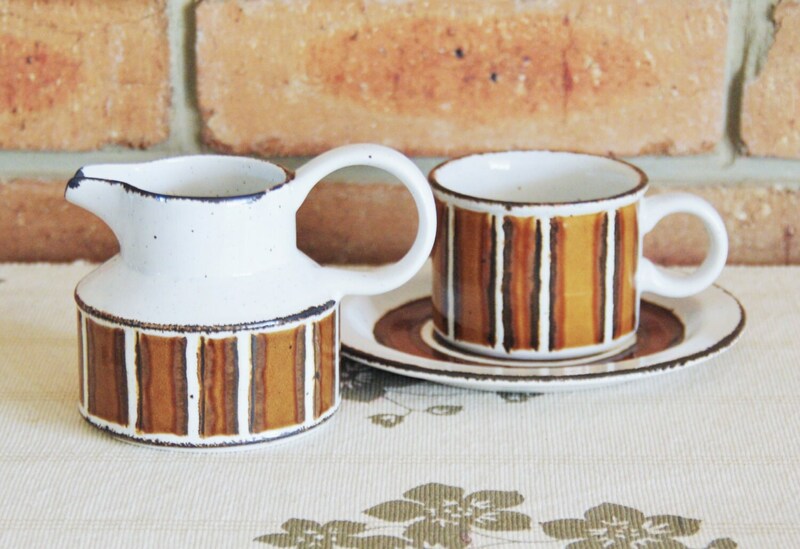 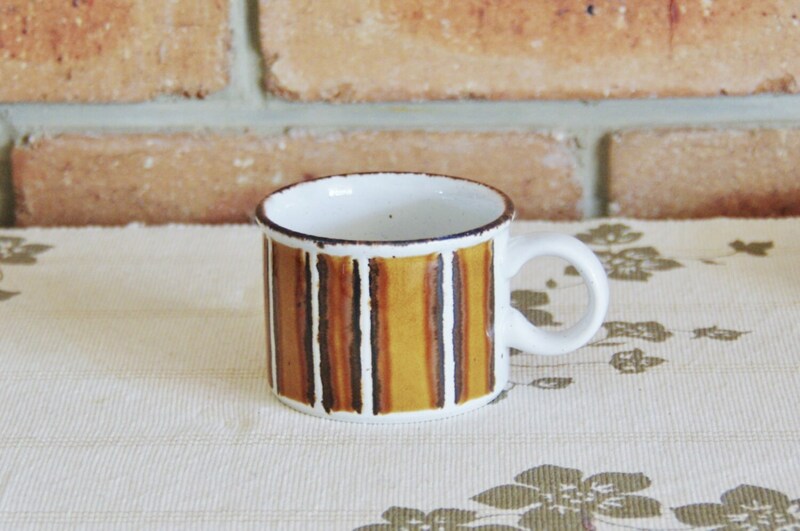 What brilliant additions to the retro kitchen!